We can ID this gull as a Black-billed Gull by its long black bill; white head, neck, tail and underparts; grey wings and back legs. The Black-backed gull is endemic to New Zealand. 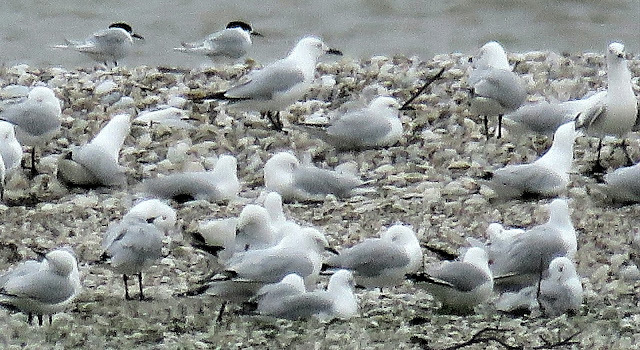 In addition to the Black-backed Gulls, there are two terns in the upper left of the photo. These are White-fronted Terns. The Black-backed Gull is a new species to our Photographic Life List, which now stands at 731.